In my last blog, I talked about how the pursuit of greater efficiency is a critical tenet of business survival for any company that operates datacenters. These efficiencies are measured by metrics like total operational cost, dollar per watt, and total cost of ownership (TCO). At QCT (Quanta Cloud Technology), we have been extremely successful in the hyperscale datacenter space by delivering high performance and high efficiency systems equipped with dual-socket Intel® Xeon® processor E5-2600 or quad-socket Intel® Xeon® processor E7-4800. 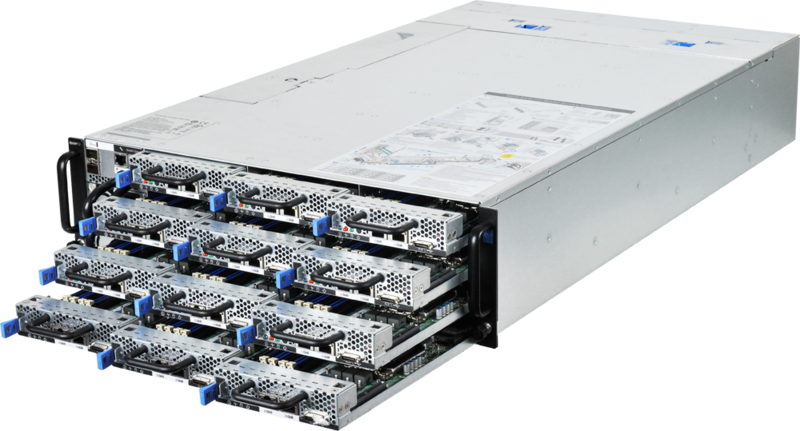 We launched more than dozen of new server series supporting Intel Xeon processor E5-2600 v3 product family that greatly improve efficiency for our customers. That’s why we’re happy to announce today that we have become a time-to-market partners on the latest Intel® Xeon® processor E3-1200 v4 product family. The Intel Xeon processor E3 is targeted at low-end servers and microservers, which are an emerging category of dense servers for web hosting and cloud implementations. Microservers usually have lower-power processors and are designed to handle large volumes of lightweight web or cloud transactions, like search queries and social networking page renderings. QCT offers a range of server platforms, each designed to meet different workloads perfectly. In addition to the hosting applications noted above, the latest Intel Xeon processor E3-1200 v4 product family is the first generation processor focused on media/graphic workloads. This is an emerging datacenter application, based on feedback from our customers. Media service providers all face the same challenge: streaming ever-increasing volumes of content to a rapidly growing global market connected with billions of mobile devices. These customers need transcode solutions with cost-efficient, dense designs that can deliver high-definition video to an array of devices and mobile operating systems. A datacenter graphics server based on the Intel Xeon processor E3-1200 v4 product family does just that. The new processor can support more transcoding jobs per node when compared with discrete graphics. This is big news, made possible by Intel. Now you can support more concurrent media transcoding functions in parallel, lowering your total cost of ownership while enabling a better experience for user-generated media, on-demand viewing, live broadcasting or videoconferencing. Whether you host desktops and workstations remotely or deliver video in the cloud, the graphics performance of the Intel Xeon processor E3-1200 v4 product family can provide the rich visual experiences end users seek. At the same time, these customers will benefit from greater energy efficiency. But the potential is bigger than optimal efficiency for video transcoding and streaming. I can envision using the Intel Xeon processor E3-1200 v4 product family for big data analytics. These new processors deliver great computing power to capture valuable metrics, gain insights, and perform data-intensive tasks like video search indexing, digital surveillance, and automated ads that react to user behavior. We at QCT will be working closely—and quickly—with Intel and the Intel Xeon processor E3-1200 v4 product family to help customers build datacenters that are reliable and efficient, so customers can focus on core business growth and innovation of new software products. The revolution is here. Let’s see how Intel and QCT transform the future datacenter together.